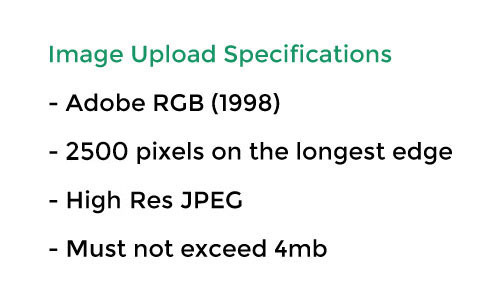 Upload Requirements: Adobe RGB (1998), 2500 pixels on the longest edge, High Res JPEG, Must not exceed 4m. By selecting the Student tick box, this will automatically enter you into the student category. You must be a student in Australia in order to be eligible to enter into the student category.